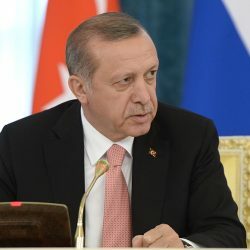 The Bar Council of England and Wales and the Bar Human Rights Committee of England and Wales (BHRC) have sent a letter to President Erdogan of Turkey urging immediate action by Turkish authorities to protect lawyers and safeguard the rule of law in Turkey. The letter comes as Turkey marks its annual Day of the Lawyer on 5 April amid continued reports of the detention, prosecution and sentencing of legal professionals throughout Turkey. Since the coup attempt of July 15, 2016, it is understood that 275 Turkish lawyers have been sentenced to a cumulative total of nearly 1800 years in prison and many more are awaiting trial. The letter, which has been copied to the UK Foreign & Commonwealth Office, raises concern that the persecution of lawyers in Turkey undermines the independence of the legal profession, threatens to silence critical voices and endangers human rights protection. Reinstate in office those wrongly detained, prosecuted and dismissed from their posts. Further information and spokes people available from the Bar Council Press Office on 020 7611 1399 and Press@BarCouncil.org.uk. For an interview with the BHRC spokesperson, please contact Amanda June Chadwick, Executive Officer, on coordination@barhumanrights.org.uk or +44 (0)7854 197862. The Bar Human Rights Committee of England and Wales (BHRC) is the international human rights arm of the Bar of England and Wales, working to protect the rights of advocates, judges and human rights defenders around the world. BHRC is concerned with defending the rule of law and internationally recognised legal standards relating to human rights and the right to a fair trial.